Yoga is an awesome healing tool! I confess, I did not write the title to my article published on the international Yoga blog: Sivana Spirit. Had I written the title, I would not have used the work "shocking" as Yoga's affects no longer shock me. I am not certain they ever did. I do know, had I been asked 15 years ago when I started doing Yoga, I would not have expected all the benefits Yoga has brought into my life. But these Yoga revelations have not been "shocking." They have been smooth and silky, warm and fuzzy, and oh so stealth in sneaking into my life. To read more about these "shocking" Yoga weight loss impacts and benefits, click here. Yoga truly is an easy and amazing tool for health and healing. Maybe this fact is the shocker in a culture that prefers more difficult answers. Snake Oil, urbandictionary.com, comes from the 19th-century American practice of selling cure-all elixirs in traveling medicine shows. Snake oil salesmen would falsely claim that the potions would cure any ailment. Snake oil, wikipedia.com, is an expression that originally referred to unproven medicine. I made this bold statement, the blog post title, with a big chuckle and a twinkle in my eye. Snake oil is such a fun pairing of words! My making the statement that Yoga is snake oil is only in fun as Yoga IS now being recognized for the amazing healing modality; the healing tool that it is. India has been aware of and using Yoga as a healing tool for somewhere between five and ten thousand years. Yoga has a long history of healing body, mind, and spirit! I started my yoga practice over 20 years ago. I was not looking for healing; I was looking for change. I had been lifting weights and running for too many years. I was bored of the same old, same old. I wanted something new, something challenging to mind and body. Little did I know I would be challenging my spirit as well! Yoga builds strength in body, mind, and soul. Yoga is a great way to keep the body physically toned, flexible, and fit. While all of this physical transformation is going on, seeds for deep inner transformation are being planted. The very act of deep breathing through and with your body movements creates a gentle binding of body, mind, and spirit. This creation of the whole is the healing transformation. My first Yoga pose book. I borrowed it from the Potsdam Library, 17 years ago. This is my library copy; an Amazon purchase of some library's throw away book. 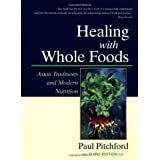 This book has healing Yoga sequences for every ill health issue you can imagine. There is a lot of prop use. I do the poses as close to the pictures as possible. Tera's pose series are simple and easy to incorporate into a busy life. Yoga is a valuable tool to place (and actively use every day) in your holistic toolbox for healing body, mind, and soul. I will give you 6 simple reasons that yoga IS what you have been looking for, a tool to take you to the next level on your personal path of healing. Your body will respond physically to the beauty of yoga. Your muscles, bones, tendons, and ligaments will become longer, stronger, and physically fit. Stick with yoga; you will see the results in your mirror! You will intuitively move towards healthier choices in your life. 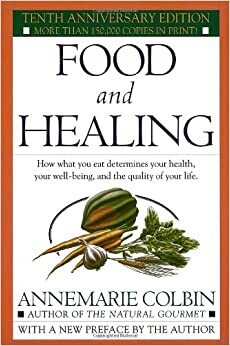 Around food, this is a healing event! 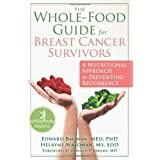 Your food choices will become healthier, whole foods. Your body will respond by balancing your weight into a healthy space for you. Your mind will become calm. The breath awareness, on the mat yoga poses, will follow you off the mat. A calm, centered, grounded life is the benefit. Bonus: you will sleep better and move through your day in bliss! Your body will be in the flow of life. Your Chi life force energy flows, unimpeded, when you regularly practice yoga. This healing energy, flowing freely through your body, helps to heal ill health symptoms. Your body heals! Better circulation of blood (not just Chi life force!). This means heightened nourishment of your body’s cells and more efficient removal of cellular waste. Every organ will function better as your cells glow with vibrant health. Results: higher level of thoughts, your intelligence will shine, intuition flows, creativity sparks, and your spirit soars. Yoga is Movement Magic! In a world where much sitting happens, Yoga is a gift of movement, flexibility, and balance. Truly, I could go on and on about the benefits of yoga. My purpose here is to quickly entice you to engage in a daily yoga practice; even 10 to 15 minutes a day. With a regular yoga practice, the benefits become obvious and you will yearn for more. Yoga IS an answer to your mind, body, and soul’s healing prayers! Your personal healing snake oil! I am going to begin this post with the same message I begin my workshops with: "Everything I say (write) comes from a space of love... loving support. No words out of my mouth are critical of anything or anyone. We all have to start from the space we are in; the current life space we are in and the space we make choices from." Change starts with you and it is all about you making the choices in your life that are good, right, correct for your health and healing. No one else can make those choices for you. 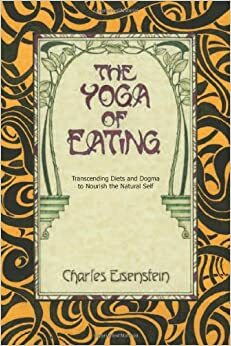 I was recently peeking at a book on yoga, diet, and change: The Yoga of Eating: Transcending Diets and Dogma to Nourish the Natural Self. 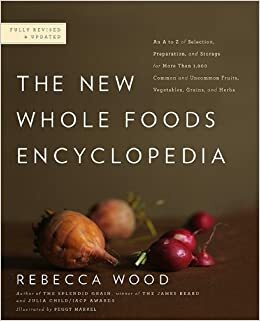 The book introduction read like this: The Yoga of Eating is a practical and inspiring manual that offers original insights on the physical and spiritual functions of sugar, fat, meat, and other foods; fasting, dieting, processing, willpower, and the deeper principles of self-nurture. 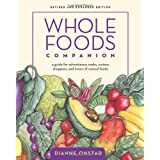 This book appeals to a higher authority—your own body—and shows how to access and trust the wisdom your body has to offer. I always look at the reviews, positive and negative. I like to get an idea of what people thought about the book. 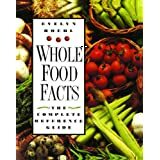 One of the level 1 reviews made this comment: "I was expecting diet plans, recipes, etc. to plan a yoga diet - nothing here." 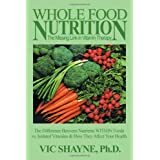 As a health coach who wants to instill the philosophy of self-responsibility around their health, I have always suggested that individuals make their own daily menu plans. Make these plans based upon the principles of whole food eating and tossing in a bit of local and seasonal flair! Hard to do as it is time consuming task and what I might tell someone to eat may not be anything they ever intend to eat, ever! So time is spent putting together 3 meal a day plans that might get a glance and not be used, ever. This is because the suggested foods do not appeal to the person using it. This is time not well spent for me or my client. Does not teach self-responsibility, making your change your own. 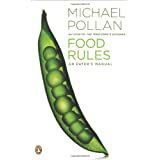 If I create your meal plans, what happens when you are sick of them (assuming you even use them)? When you get sick of them, you go right back to life as it was before we crossed paths AND back to the same meals and eating habits that caused the problem(s) in the first place. When you work to create your own new plan, it is your plan. You can own the changes you created in your life and your new lifestyle choices. 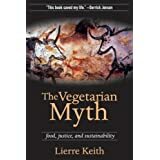 What I might suggest for food is not necessarily things you like, things that are local (growing in your own food shed), or foods that are seasonal for you. 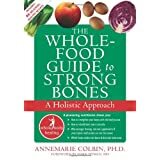 Instead of meal plans that sound good to me and my eating habits, take the principals of whole food eating and make your own plans based around local, seasonal, and whole foods. You will then be making lifestyle changes that will stay with you for life! These meal plans will nourish your body cells, heal disease, balance body weight, and help you to feel fantastic!